Although most closely identified with the Hamilcar and Horsa Glider, the men of the 6th AARR would have a very familiar relationship with a host of other aircraft. Many of the men of the regiment, and particularly the "Parachute Harbour Party", completed parachute training and qualification. They would have started with ground training, and advanced to jumping from balloons, as in the photo above, to jumping from transports such as the Dakota or bombers such as the Whitley or Stirling. 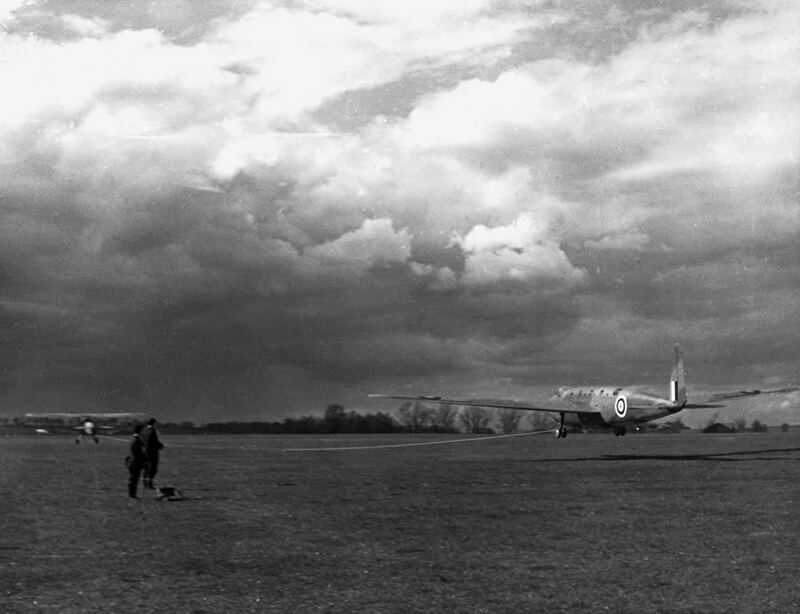 Initial training for glider borne troops was carried out in the Hotspur training glider, and then advanced training and large scale exercises would see them into the Horsa and Hamilcar. 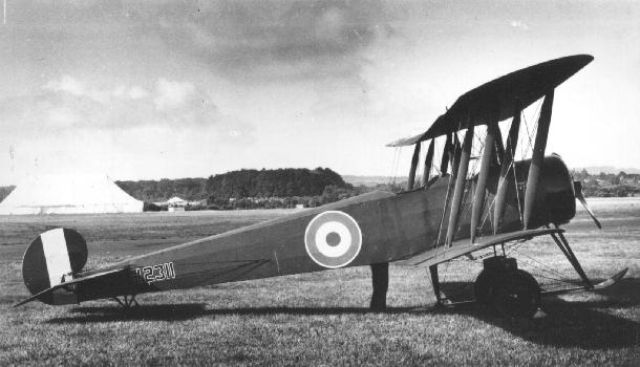 Initial training of the glider pilots that would deliver the regiment into battle was carried out in Tiger Moth biplane trainers, and glider training itself might even start with pre-war Kirby Kite sail planes or other civilian models taken into the airborne force, before moving onto the Hotspur. A whole host of tug aircraft for the gliders was employed, from models so diverse as to span from the WW1 Avro 504 biplane through the latest model Halifax four-engined bomber. Below you will find a selection of these aircraft. To the right is the Slinsby Kirby-Kite, the first training glider used to train glider pilots. Several were donated to the war effort by private owners following Winston Churchill's mandate that Britain put together an airborne force in 1940. To the left is the Avro 504. This WW1 biplane was the first airplane used as a glider tug aircraft by the RAF. 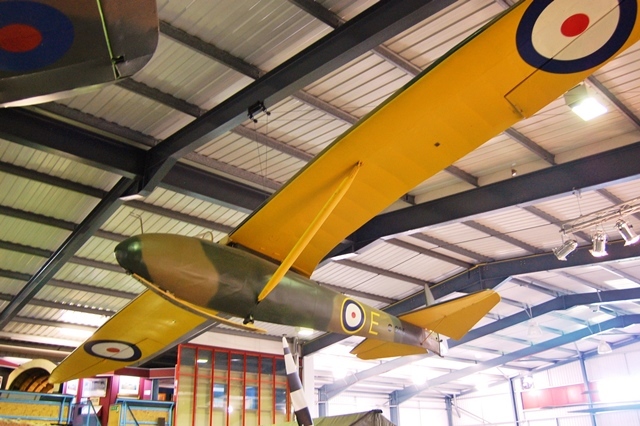 Together with the Kirby Kite, this glider and tug combination was the first to take to the air in the British airborne force. To the right is a GAL (General Aircraft Limited) Hotspur glider that has just lifted off behind it's biplane tug aircraft. Gliders always left the ground first, and gained altitude to get above the tug aircraft's slipstream. To the left is the De Havilland Tiger Moth trainer. 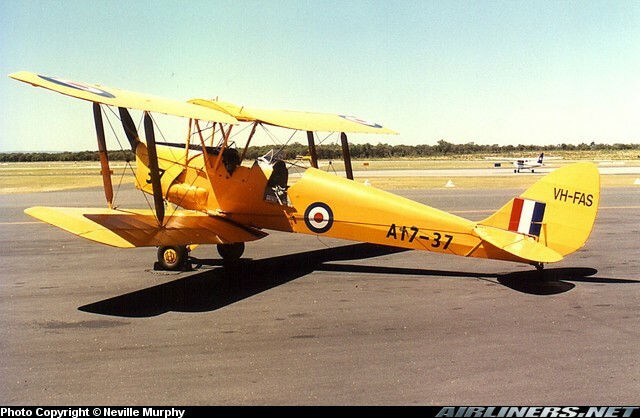 The Tiger Moth was a primary trainer for all RAF pilots. As well as being a powered trainer for basic flight instruction for glider pilot candidates, it was also used as a glider tug. To the right is the Armstrong Whitworth Whitley Bomber. 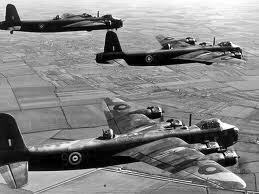 Starting the war as a front line bomber, the Whitley was quickly superceded by more modern bombers. 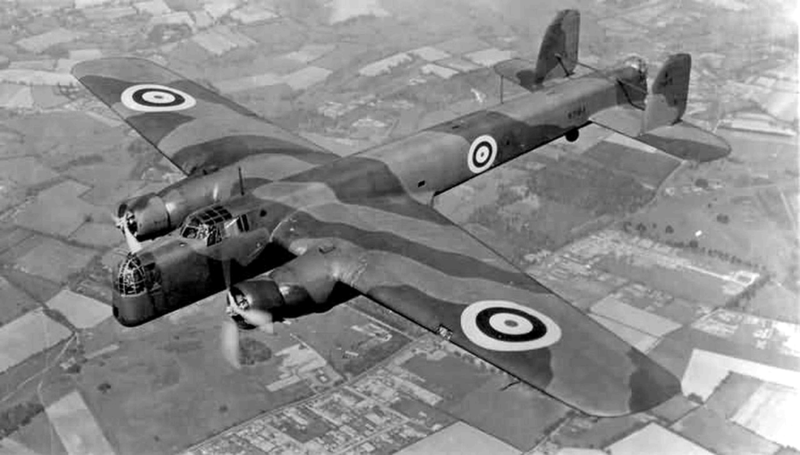 The Whitley then continued in servce as a paratroop training aircraft and glider tug. To the left is the Armstrong Whitworth Albemarle bomber. The Albemarle was one of the primary operational glider tugs of the RAF, along with the Sterling, the Halifax and the Dakota. Albemarles towed the Horsas of 6th AARR during Operations Mallard and Varsity. To the right is the Short Sterling. Although the Sterling was capable of carrying a 14,000 pound bomb load, it's engines had problems overheating when towing the Hamilcar, so it was restricted when serving as a tug to towing the Horsa. To the right is the Douglas C-47 Skytrain, known in British service as the "Dakota". 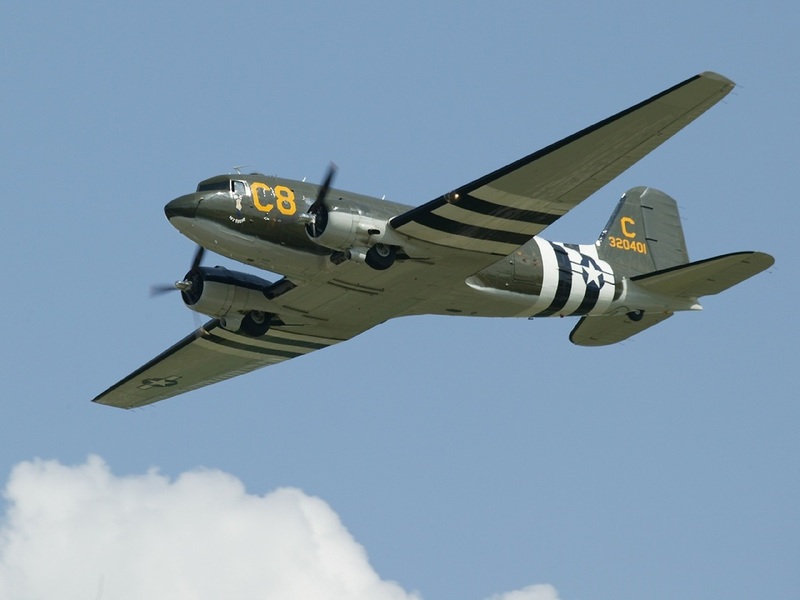 The Dakota was the primary paratroop transport of the RAF, as well as the USAAF. It also served as a glider tug for the Horsa. To the left is the CG4A WACO glider. The name WACO has nothing to do with Texas, as it actually stand for Weaver Aircraft Company of Ohio. 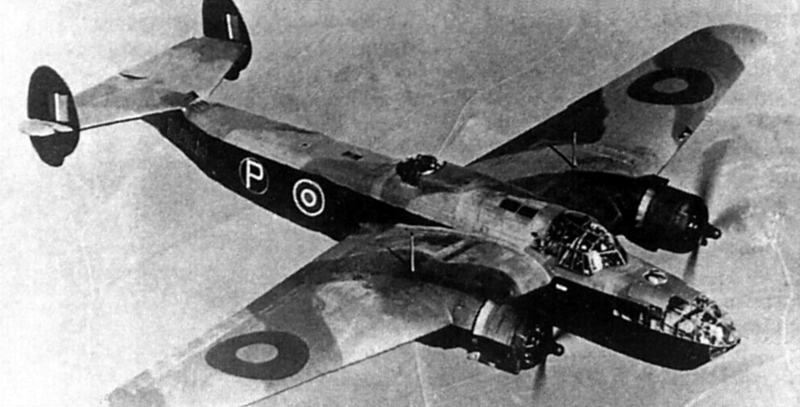 The WACO in British service was known as the "Hadrian". The WACO was not as large as the Horsa, and where the Horsa could carry a jeep and gun together, a load such as this would have to be split between two Hadrians. It took a large number of men just to deliver the troops and equipment into combat. These men were members of the British Glider Pilot Regiment, tug and tranport pilots were members of the RAF, and on some missions, pilots of the USAAF Troop Carrier Command delivered british airborne troops into combat. Because the glider pilots landed with the soldiers they carried and would be on the ground in the combat zone with them until they could be retrieved for future missions, they were required to be soldiers of the British Army, not the RAF, and were trained in the skills of combat alongside the men they brought in. Because the glider pilots were all in the rank of sergeant or above, and because they were so highly trained, they became instrumental in several operations providing leadership when the assigned officers and NCO's of the combat units became casualties. Glider pilots were trained in the use of all infantry weapons and tactics, and were also trained how to operate whatever equipment was in the load they were carrying in their glider, for instance, how to operate an antitank gun or drive a jeep. Tug and transport pilots of both the RAF and USAAF Troop Carrier Commands returned to base after delivering their troops and gliders to the drop and landing zones, so they had no other combat requirements.